Access some of the best pay TV channels. After pre-paid period, Entertainment Month Pass automatically renews at its then standard price unless cancelled. Offer price lost if you cancel your Pass before the last month of the offerperiod. 18+. UK only. NOW TV account set up with debit/credit card required. 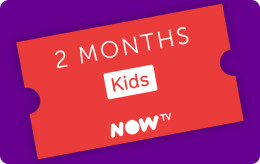 Streamed via Broadband/3G/4G/Wi-Fi (min recommended speed 2.5Mbps, charges may apply) to compatible device – see list on nowtv.com. Channels are subject to change. Not all content available on live channels or catch up. 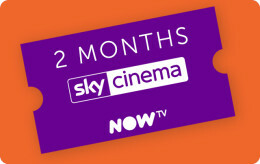 Voucher must be redeemed within 1 year of purchase otherwise void. Terms apply. 1. 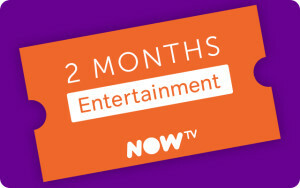 Visit nowtv.com/entertainment. 2. 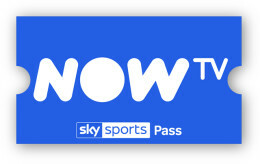 If new to NOW TV, select ‘Start 14 day free trial’ and create an account. 3. Enter your code at the payment step to get your trial plus your free pass. 4. Existing users, go to ‘My Account’ to apply your code.